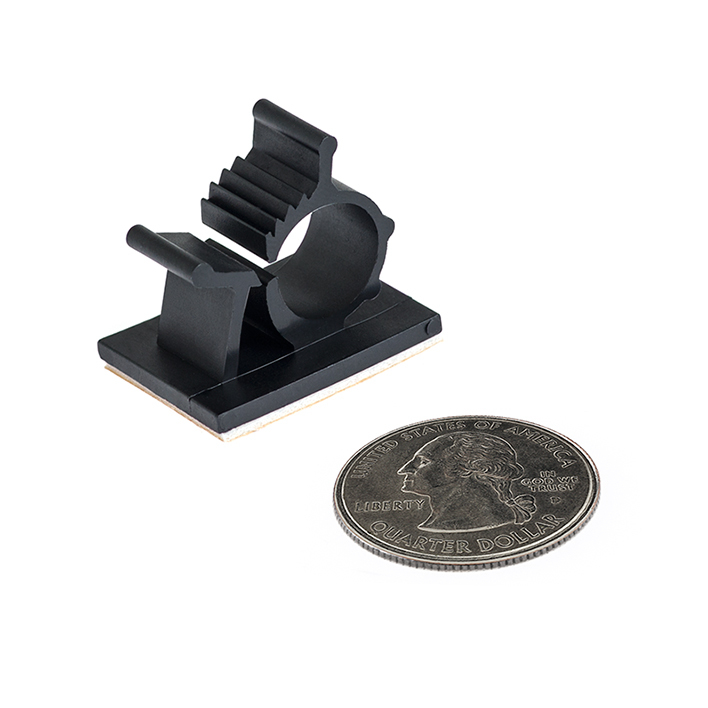 Adhesive Backed Adjustable Black Wire Clamp: Shown Holding Wires. 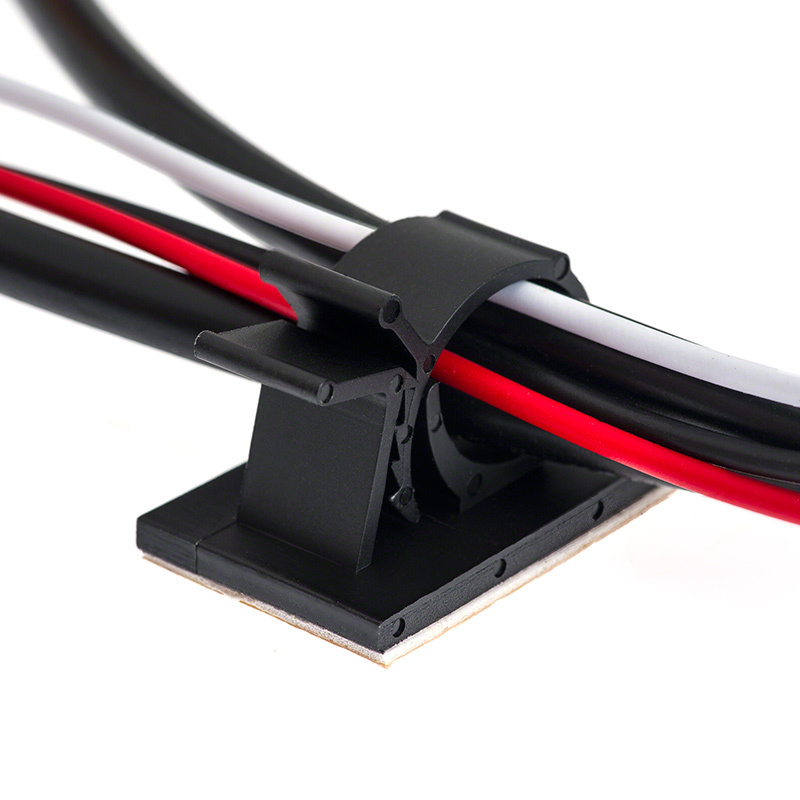 Adhesive backed adjustable wire clamp for quick and neat wire and cable management. 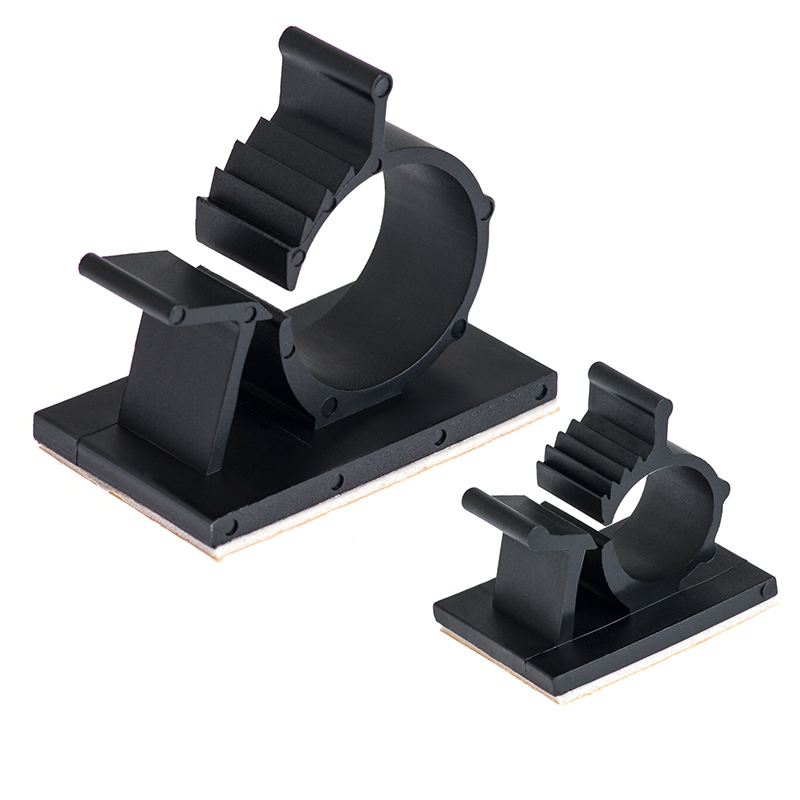 Molded black nylon clamp with 1/32" thick adhesive polyethylene foam tape installs securely to clean, smooth surfaces. Available in .390" and .765" sizes. 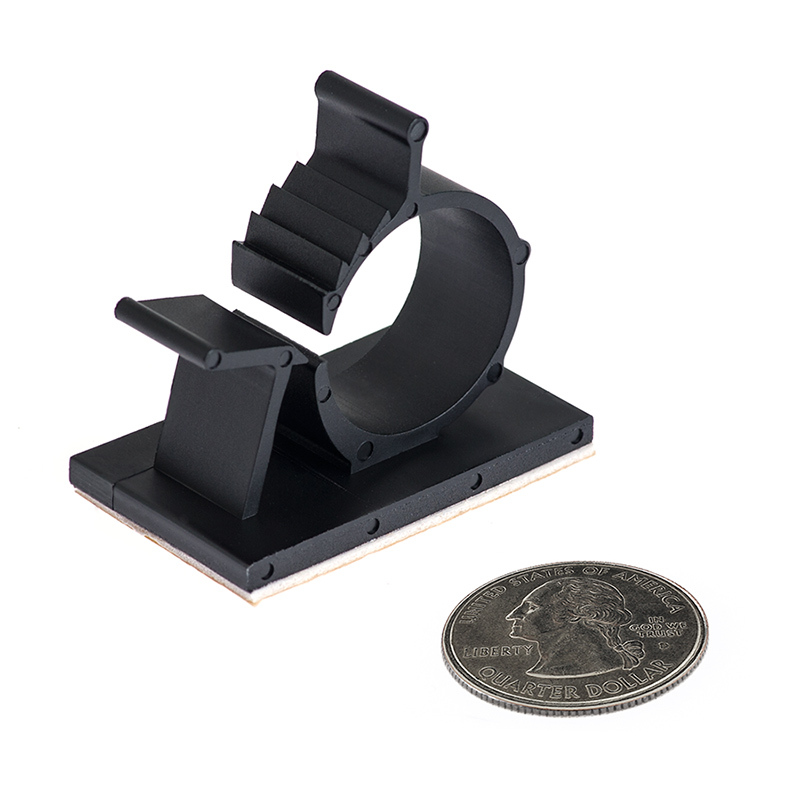 Price per clamp. 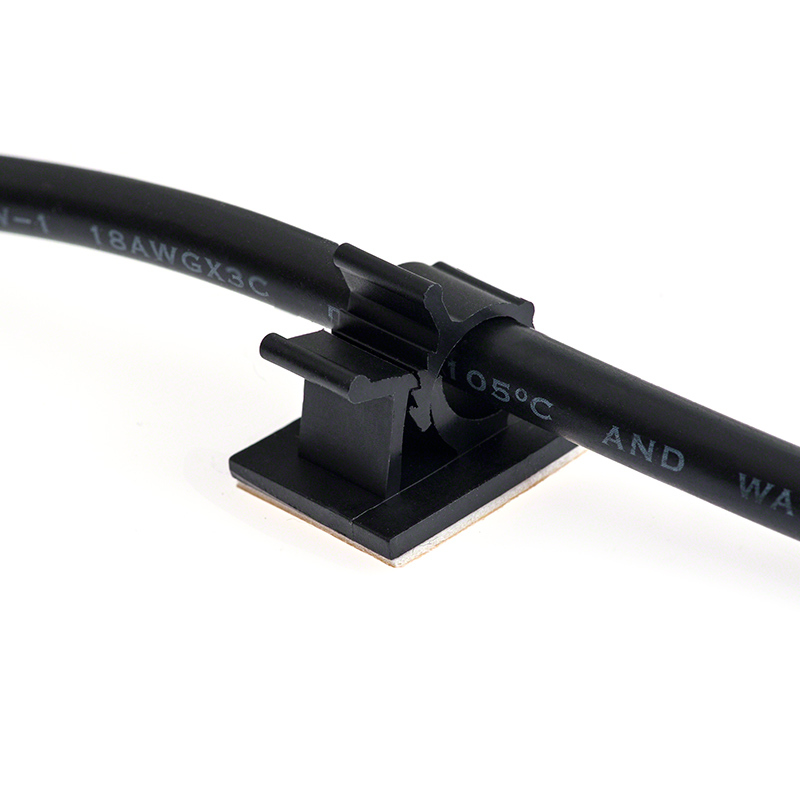 I have used these on several installs and they work great. Have had one of them fail due to the adhesive separating from the plastic but the rest of them have held up wonderfully.